We are proud to announce that we now have the technology available in office to take 3D images (cone beam) for our patients. These images are extremely valuable when diagnosing certain conditions and evaluating oral conditions for the placement of implants. Less then 5% of dental offices make the investment to acquire and educate themselves to use this technology and we are excited to be in that 5%. 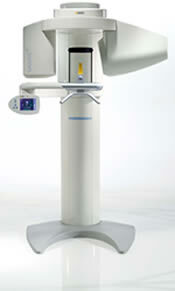 We are excited to announce the addition of CEREC CAD/CAM technology to the practice! 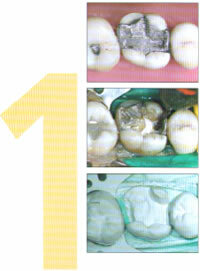 We can now offer same day crowns in office with cutting edge technology! Dental x-rays can now be taken using sensors that transmit the image directly into a computer monitor. This larger image helps the patient understand the doctor's explanations more easily and enables the doctor to "zoom in" on a specific area of the tooth. An important advantage to this new technology is that it reduces the amount of radiation by 90%. Digital x-rays are also faster. The digital image only takes a minute or two to appear in the monitor. In addition, this new technology is friendly to the environment since no chemicals are needed for developing the image. 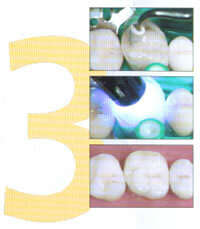 Modern lasers are used to cosmetically contour gums, lengthen crowns to provide ample structure for restoration, and treat pockets of infection during gum treatment. Lasers are self-sterilizing, provide the maximum amount of control, and are virtually painless during the procedure and post-operatively. 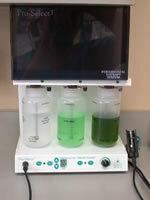 As part of the comprehensive treatment we offer our patients, we have chosen an ultrasonic instrument, the Pro-Select 3®, that is based on piezoelectric techology. 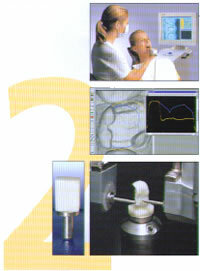 This instrument is the latest in ultrasonic techology .This instrument was chosen because of it's effectiveness in removing plaque, tarter and stains while at the same time being more comfortable to the patient than traditional older techology ultrasonic scaling systems.The Pro-Select 3® system also is designed to gently administer medicaments under the gums when needed.